Then post on Hardwarespot and on OCinside a message, since when (approx.) 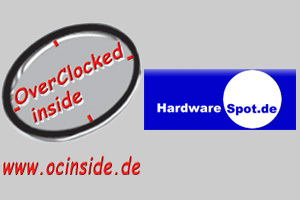 you know the Hardwarespot Hardware News portal and Redaktion ocinside.de portal. You don't have a Facebook account ? No problem, the Facebook account can be created easily for free. But pay attention to your privacy settings which you should modify, because you shouldn't publish more information than you like to. Prizes are non-cashable and non-transferable to a third party. The price has been verified to function, but is sent without any warranty. To give all participants the same opportunities, the lucky winner will be determined after the 1st December 2010 at random from all senders (bribery is completely pointless ). You can win the nice ACRyan ACR-PV73200 Playon! HD Mini media player with remote control unit, which is previously tested in the ocinside.de review.